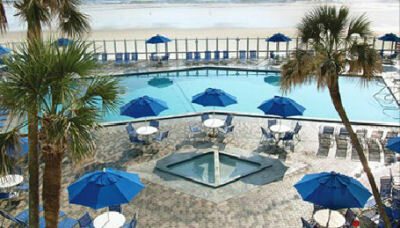 Islander Beach Resort in New Smyrna Beach, Florida - NEAR DAYTONA! - Buy a 7 Night Stay in a Studio Unit or 1 Bedroom Suite! 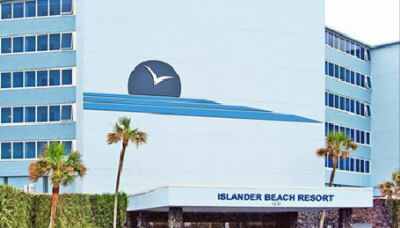 Enjoy 7 Nights at Islander Beach Resort in New Smyrna Beach, Florida! If you've dreamed of spending lazy days basking in the sun and splashing in the surf, Islander Beach Resort may be the place for you. Spend a day at the Daytona Raceway or enjoy the numerous other Central Florida attractions located one-and-a-half hours away. Then return to relax with a swim in the year-round heated pool or enjoy the warm, bubbly spa. The resort is ocean front property, with 90 of the 114 units facing the ocean. Not all unit comes with balconies. Your STUDIO UNIT comes with a full kitchen and will accommodate up to 4 people. The Following Check-in Date is Available for a 7 Night Stay! Upgrade to a 1 Bedroom Suite for $125 for the Week! Your 1 Bedroom Suite comes with a full kitchen and sleeps up to 6 guests.